Hospitals, schools, professional associations, and various corporate facilities make use of monument signs to create a strong impression on all passersby. A monument sign is usually a massive marble, stone, concrete, or brick structure showcasing your logo or various directional information that might help people find you easier. These materials are usually an excellent addition to an already existing building sign, thus contributing to boosting your brand awareness. We can make an impactful and memorable monument sign for you so that you can differentiate yourself from your competitors. 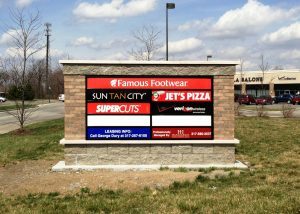 Call Made 2 Measure Signworks today at (647) 699-7654 for a Free Consultation with a Monument Sign Specialist! A monument sign works well for many types of businesses. These eye-catching, unique, and memorable structures will give your business a touch of continuity and reliability. 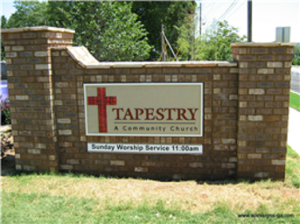 Most monument signs sit at eye-level, removing the need for supporting structures, and making them more durable and less exposed to wear and tear. Since they are resistant to the aging process, monument signs are an excellent long-term investment in the image of your company. 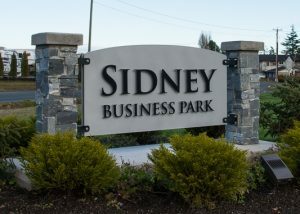 Monument signs are quite popular among business parks, multi-facility centers, and multi-tenant offices. 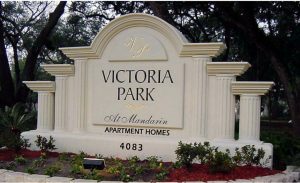 We can create multi-tenant monument signs that serve any purpose you may see fit for your facility. Whatever your ideas, we are happy to bring them to life in a compelling and unforgettable monument sign. If you are in need of an impressive sign to attract attention, you can’t go wrong with a monument sign created by us. We offer a wide array of choices, allowing us to meet your specifications and match your budget. By providing various material options, we can provide you with a customized solution, in line with your requirements. Whether you need a huge sign to attract attention, or you only want a smaller one, we have the skills and the means to create it for you. Made 2 Measure Signworks is your local provider of long-lasting, high-quality monument signs to help you become an impactful presence in your neighborhood. Geoff and his team are awesome!